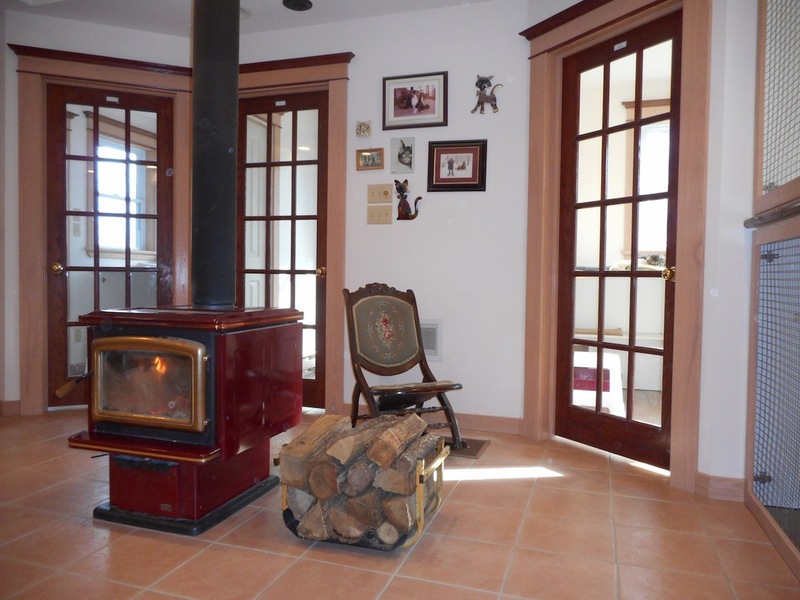 The qualities of our Inn have made it a feature in Cat’s Magazine, CBC, CJOH TV and CTV. But what really brings our clients back is the obvious love and care we give to the cats, and how relaxed they are when they stay with us. No barking dogs – this is a cats-only hotel! We only hope the accommodations you book for yourself are as nice as the ones here at The Cat’s Meow! 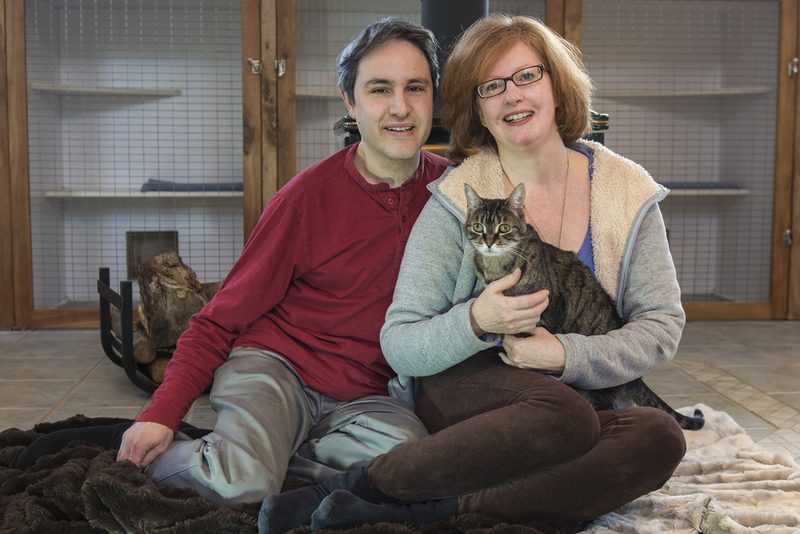 David and Cassandra have always had a love of animals and nature. With four cats as part of our family, we have known the joy of feline companionship for many years now. Our experience also includes eight summers working at an animal sanctuary near Stratford. As the owners of The Cat’s Meow we are thrilled to work full-time caring and providing for all the cat personalities that come through our doors. It is our great privilege to be here in this beautiful setting and we look forward to welcoming you and your cat family to this idyllic cat paradise. While kitty play parks and jungle gyms are a cute idea, in practice they pose serious health risks to cats. Cats are territorial animals and when thrown together in an unfamiliar situation they are known to fight one another. A bite or scratch can lead to serious health risks including infection and the much more serious Feline Leukemia Virus (FeLV), Feline Immunodeficiency Virus (FIV) and Rabies. That is why high-end cat hotels are trending away from common play areas. At the Cat’s Meow we never inter-mingle kitties from different households. We are serious about providing a safe and healthy environment for all of the cats who come through our doors. That is why vets will recommend us over another facility. One of our most unique features are our 6 cage-free cat suites. Quite simply we offer the most generous, comfortable, private accommodations in the Ottawa area that are surprisingly affordable. Looking to spoil one kitty or accommodate a family of 7? These unique spaces are closed in with an exquisite French door and boast up to 100 sq. ft., with 3 walls of windows, comfy sunny spots, nesting caves, a kitten play area with 4 perches that reach up to our 9 ft. ceiling. And that’s just the inside. The private cedar deck area is an additional 30 sq. 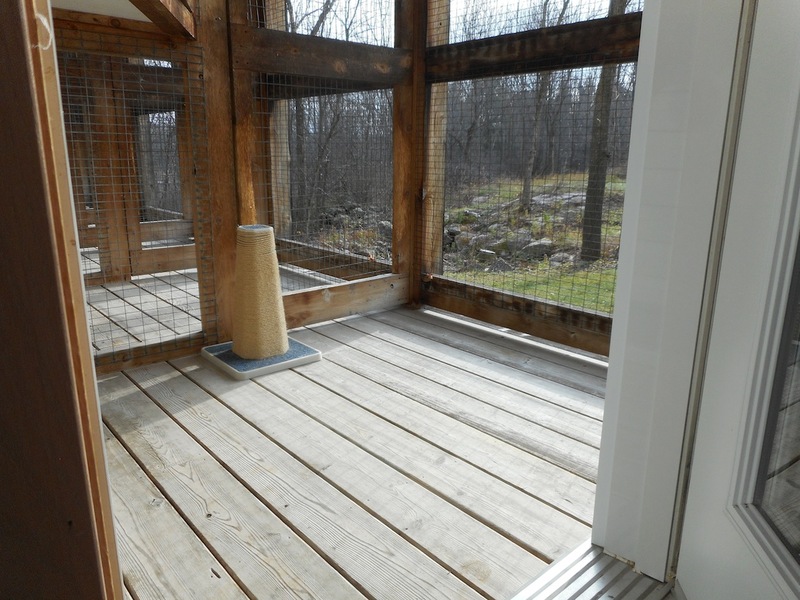 ft. with a bird watching lookout, kitty scratch post and an incredible view of our forest wonderland. 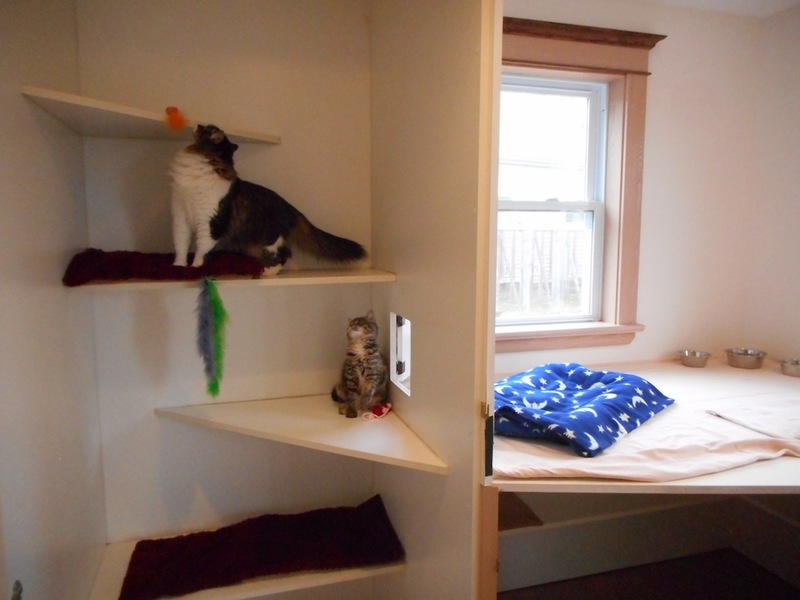 These 3 suites are an alternative for those wanting their cats to have a cage free experience. The elegant French doors allow a new level of privacy, peace and relaxation for your cats. 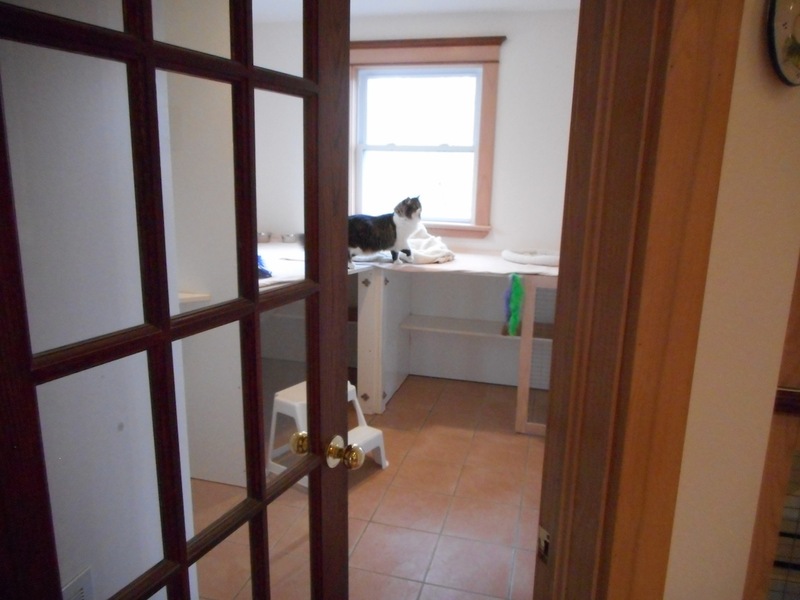 Welcome inside – see the difference 100 square feet will make for your cat family. 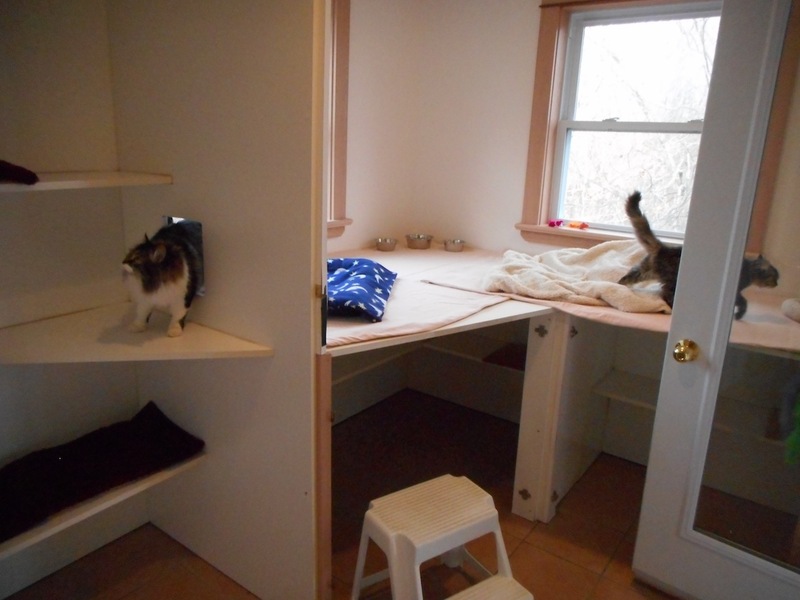 Here your cats have plenty of room to explore their own multi-level kitty play area. And outside there are unique woodland views and a bird feeder to keep everyone entertained for hours.